These pranksters don’t only turn up on April 1st, but is probably part of your shopping list some of the time. Watch out for these health products and don’t continue to be fooled! Happy April Fools! Ingredients list of popular branded orange juice drink: orange juice, sucrose (fancy name for sugar), glucose (another fancy name for sugar), Vitamin C, Vitamin E, and Vitamin A, permitted food conditioners, flavouring, preservative and colouring. What to do: Read the labels and ingredients list properly. 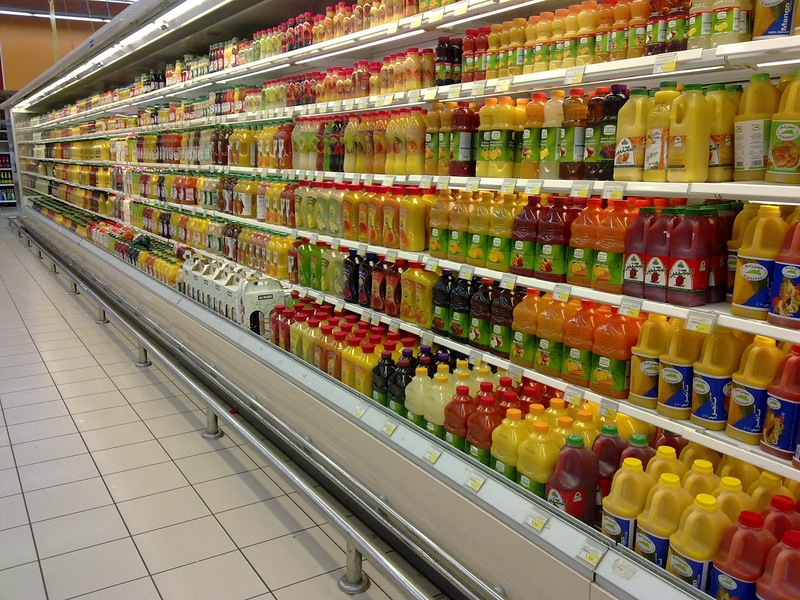 If you like having fruit juice in your diet, purchase only 100% juice, or squeeze your own juice. Avoid words like “drink, beverage, cocktail, etc” on labels as it means it isn’t 100% juice. Also don’t be fooled by labels that state “contains real juice”, because even a drop of fruit juice in it allows legal use of that pointer. Also, even when consuming 100% juice, be careful with your servings as it’s still very high in sugars. Try eating the fruits instead. We have to admit that we’ve been fooled by this before as well. Sometimes when you get a terrible sunburn, all you want is a quick solution to relieve that charred skin of yours. Most people turn to aloe vera gel, which works wonders in soothing sunburns. 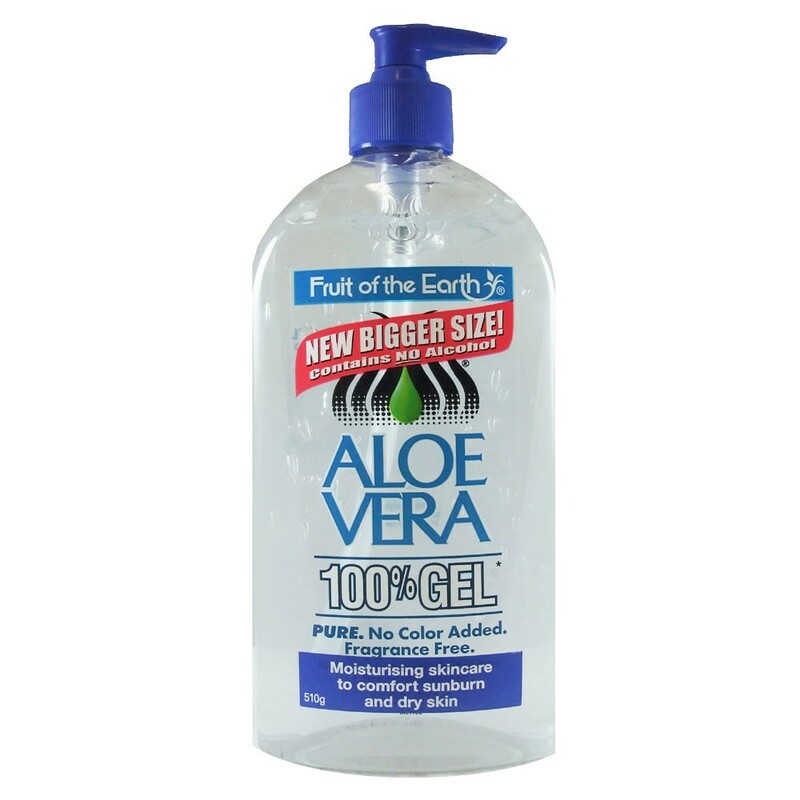 However, the 100% on the Fruit of the Earth Aloe Vera Gel packaging actually refers to the gel and not the aloe vera. So technically, you’re buying 100% gel that contains aloe vera, and it’s not 100% made from aloe vera. What to do: If for some reason you are looking for pure aloe vera gel, there are many organic and pure gels out there to pick from. You just need to read the labels and check the ingredients list carefully. If there are some ingredients you don’t really understand, Google’s your best friend. We did a bit of Googling and found that the Fruits of the Earth particular gel contains the controversial ingredient, Triethanolmine. There’s strong evidence of Triethanolmine being a human skin toxicant or allergen, so tread carefully. Many believe crackers to be a healthy snack. However, while some crackers are indeed healthy, there are many popular ones that load you up with simple carbs, sugars, sodium, and unhealthy fats. Too much sugar and sodium can cause obesity, high blood pressure, heart failure and other serious issues. 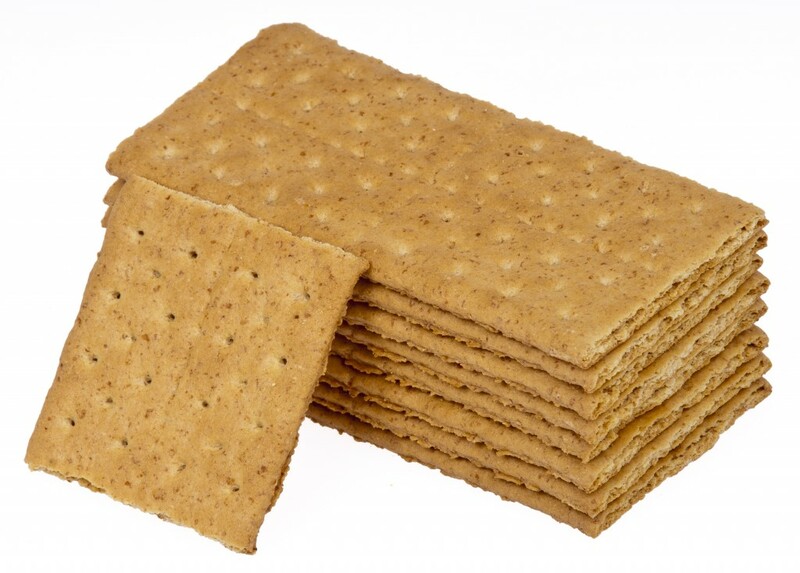 Ingredients list for popular brand crackers: Unbleached enriched flour (wheat flour, niacin, reduced iron, thiamine, mononitrate [vitamin B1], riboflavin [vitamin B2], folic acid), soybean and/or palm oil, whey (from milk), sugar, partially hydrogenated cottonseed oil, salt, leavening (baking soda and/or calcium phosphate), high fructose corn syrup, soy lecithin, malted barley flour, natural flavour. 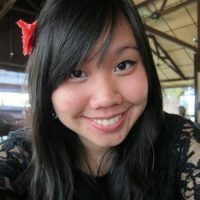 What to do: It’s not a bad thing to snack on some crackers once in a while, but make sure you don’t mindlessly munch on too much sugar, and refined grains in one sitting. If you can, look for crackers that are 100% wholegrain, with a short ingredients list that you understand. Also be aware of misleading packaging. We browsed the supermarket aisles and came across many brands that dished up saturated fats, high fructose corn syrup, and little to no fiber, but had health claims on the packaging like “8-grain”, “contains wholegrain” etc. Ahhhh… frozen yogurt on a hot sunny day. The guilt-free substitute of ice cream, so low-fat that you can enjoy as much of it as you want. Right? We have sad news for you. Frozen yogurt is unfortunately not a health food. We took a look at the nutritional values of a famous brand’s strawberry froyo, and a 1-cup serving dishes up 53.5g of sugar (a whopping 13 teaspoons of sugar; the World Health Organization now recommends 6 teaspoons a day) and 267 calories. That’s a lot, and we haven’t even talked about the sweet toppings we all like to add on. 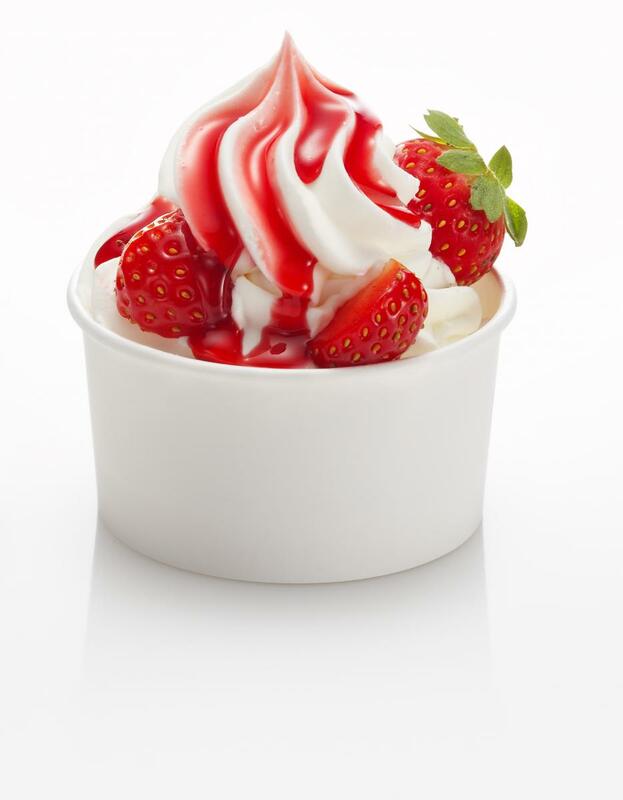 Ingredients list for popular branded strawberry frozen yogurt: Milk, water, fructose (sugar), dextrose (sugar), maltodextrin (aka sugar), non-fat dry milk, natural flavour, yogurt powder, citric acid, natural gums, lactospore (micro-encapsulated probiotic), strawberry syrup (strawberry juice, fructose, sugar, citric acid, sodium citrate, xanthan citrate, potassium sorbate, strawberry flavour). What to do: Practise moderation. You can of course indulge in frozen yogurt once in a while, as long as you’re aware that it’s not a health food, but a treat. Otherwise try looking for a low-sugar fruit yogurt, and pop it in the freezer yourself! We’ve all been duped once or twice (or 50 times), but as long as you learn from it, that’s okay. Shop smart, and always, ALWAYS read the ingredients and fine print. Do you know of any other products posing as “health” products? Let us know in the comments below or on our Facebook page!